Mary is enthroned as a sign and symbol of what a perfected human can be. Adam, the first human being, was given charge over all the earth, and given the power of naming each creature. Tradition teaches us that he failed in his task, and it was left to the woman known as the new Eve, to fill the place prepared for a perfected human being. Here Mary holds the earth in her hands. 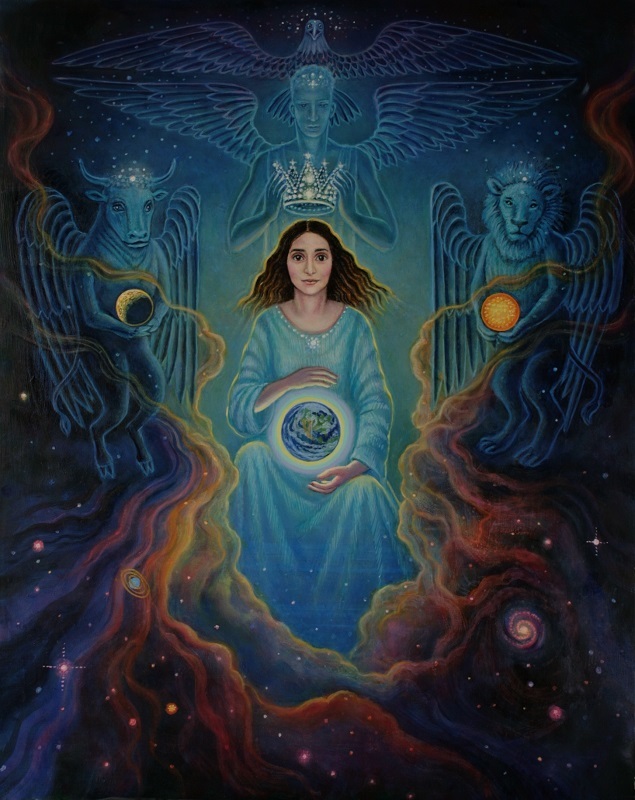 She is crowned by the angels representing the four creatures symbolising the four evangelists.